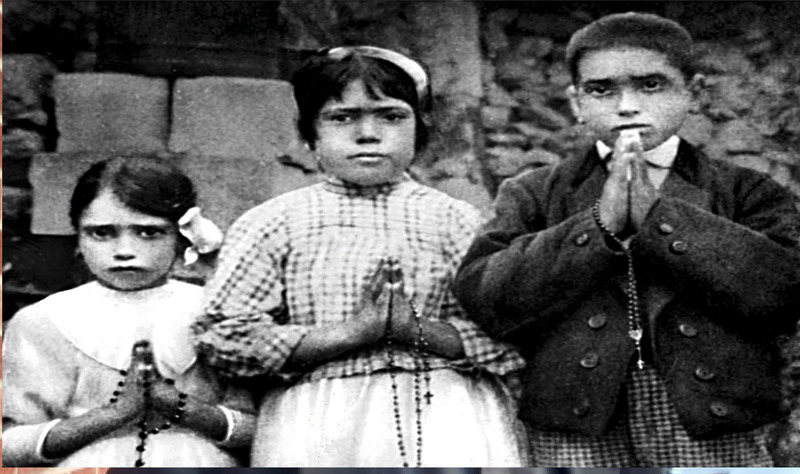 DUBUQUE — This year the Catholic Church celebrates the 100-year anniversary of the events surrounding Fatima, Portugal, where three children saw visions of the Virgin Mary beginning on May 13, 1917, and again on the 13th day of five subsequent months. 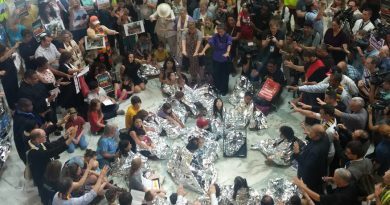 In the Archdiocese of Dubuque, Catho­lics have been engaged in activities to mark these events — some private and some public. Last week in The Witness, an article highlighted the ongoing devotion to Mary through the Pilgrim Virgin ­statue program. This effort brings a statue of Our Lady of Fatima to private homes for a week at a time in places such as Cedar Rapids, Marion, Dubuque, Key West, Atkins and other communities. Participants pray the rosary privately and also pray for special intentions. Another example of local events ­related to the Fatima anniversary is taking place at St. Wenceslaus Parish in Cedar Rapids. On the 13th of each month since June, the parish has been hosting a public veneration and prayer service, which will conclude in October, on the day of the last apparition. 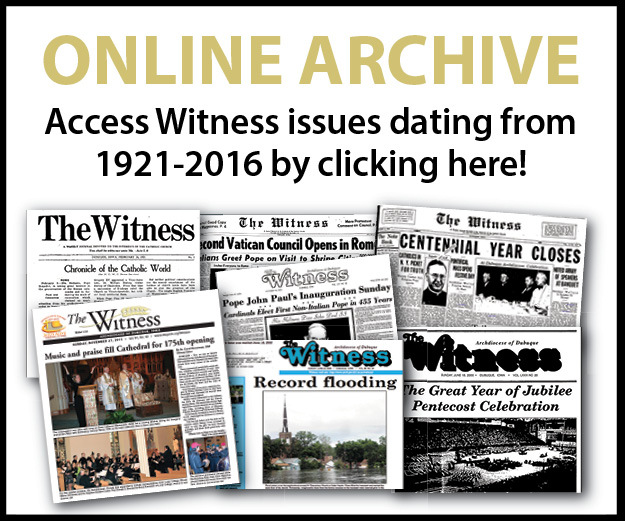 For the 100th anniversary of the apparitions of Our Lady of Fatima, Pope Francis has decided to grant a plenary indulgence opportunity throughout the entire anniversary year, which began Nov. 27, 2016, and will end Nov. 26, 2017. 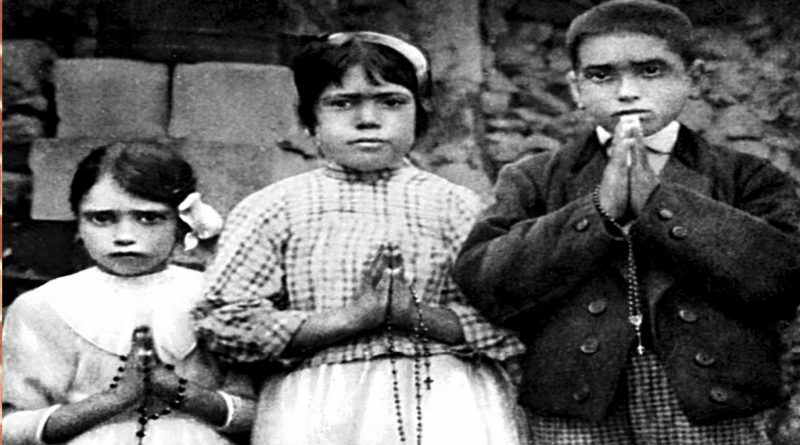 On May 13 of this year, the pope declared two of the Fatima children, Francisco and Jacinta Marto, saints at the start of Mass marking the centenary of their visions. A half-million people watched in the vast square in front of the Our Lady of Fatima shrine’s basilica in Portugal, the Vatican said, citing Portuguese authorities. In Dubuque, a series of speakers has been visiting Nativity Parish on Saturday mornings once a month to discuss various aspects of Mary’s Fatima message. 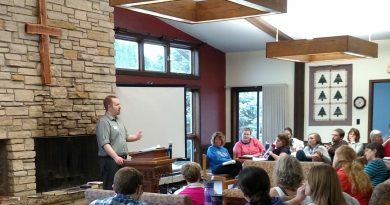 Some of the speakers included Father Jerry Kopacek, director of spiritual formation for St. Pius X Seminary in the archdiocese, and Tony Digmann, theology teacher at Beckman Catholic High School in Dyersville and a published author. In Digmann’s talk Aug. 5 in the parish’s O’Brien room, he focused on the fourth apparition of Fatima. 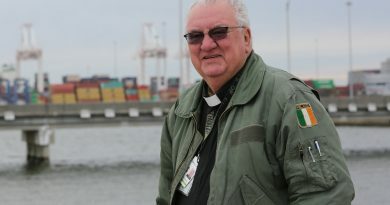 He discussed the stories of the young children who endured suffering for their faith and the “third ­secret” of Fatima. Digmann recounted some of the mystical and miraculous elements of the Fatima story, but explained Our Lady of Fatima’s appearances were geared toward pointing people to simple activities of prayer and penance. “The core message is ‘Stay close to my son (Jesus),’” said Digmann. In 2008, Pope Benedict XVI lifted the normal five-year waiting period to begin the canonization process of Sister Lucia dos Santos who died at age 97 in 2005. Fatima has become an important place of pilgrimage with 5 million people per year coming to the Basilica of Our Lady of the Rosary which was first begun in 1928. Catholics are under no obligation to place their belief in such occurrences. Whatever the significance of the Fatima apparitions is for each us of personally, this 100-year anniversary of these apparitions is a reminder of the central message of the Gospels, calling us to conversion and bringing us closer to Christ.